As is typical of the end of July, we’ve been hit with some massive thunderstorms of late. I’ve been inundating Ricky with countless videos of rain (as if he doesn’t see enough of it in the UK), but it’s been particularly bad today. Around noon, I had a weather alert for a severe thunderstorm – or rather chain of thunderstorms – warning of high winds, torrential downpours, and major lightning shows. 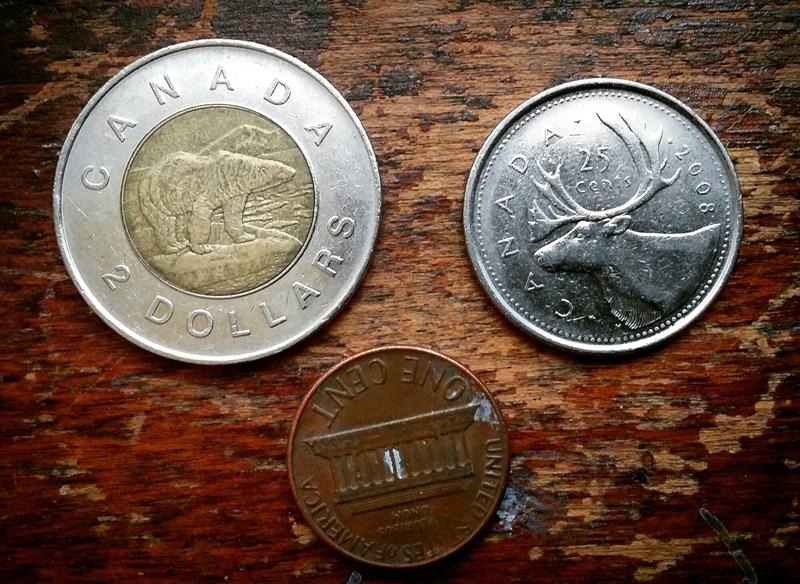 To anyone not Canadian, a toonie is our two dollar coin (as opposed to a loonie – the one dollar coin so named for the tails side depiction of a loon). I definitely chuckled when I first read the warning. Sometimes it’s nice to be in a place where you get the country’s inside jokes. 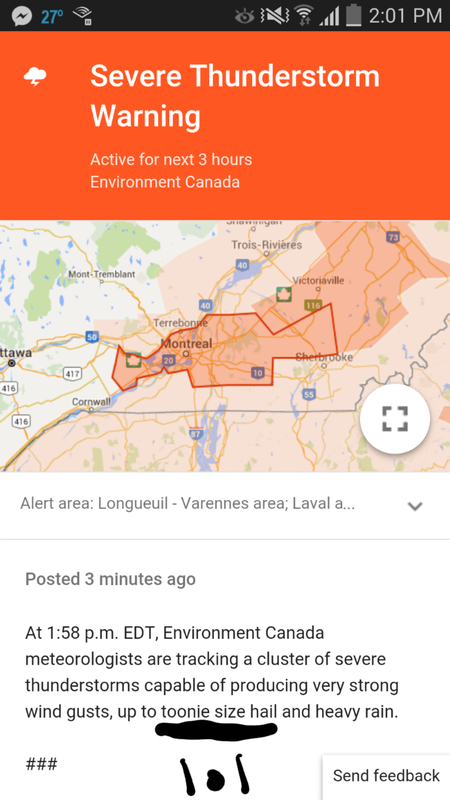 Thanks for the laughs, Environment Canada – even if I didn’t personally see any toonie hail in Chambly. chuckle, laughter, LOL, belly laugh, guffaw, cackling, sniggering . . . and if you don’t like the weather just wait 5 months and the weather will surely change. Thanks for the hilarity Environment Canada.